You probably have a LinkedIn account and consider it as a social media platform (just like Facebook and Twitter). LinkedIn is used by mainly professional and it is definitely a platform to connect with very like-minded influencers. Do you know that LinkedIn is often used by recruiters? The answer is yes! LinkedIn is really a good source for recruiters and simply because it is a social media platform, it allows the recruiters to understand the candidate much better. You are no longer selling yourself using resumes, you are also promoting yourself based on the content you are uploading on a daily basis. 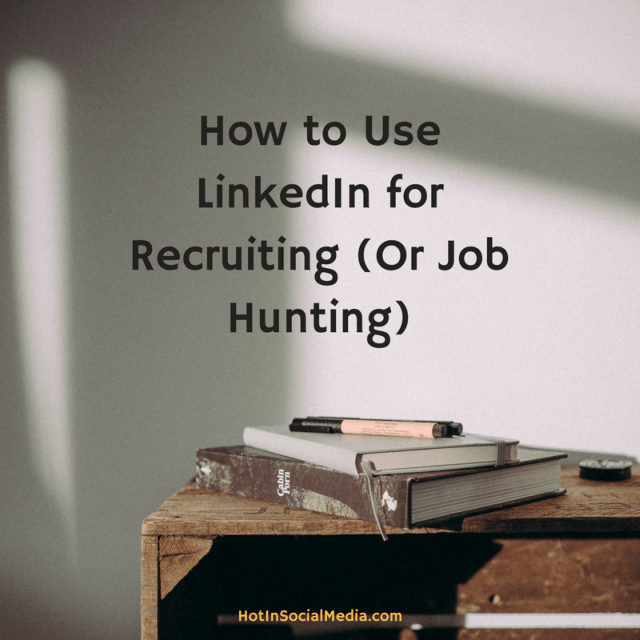 In this post, you will find several quick and fast ways to turn your LinkedIn profile into a super interesting profile that makes heads turn, or simply being able to use LinkedIn for recruiting the right people for your company. Probably the easiest but least used by many; advanced search allows you to customize the type of search results you are looking for. Instead of finding someone generally, consider searching them based on pre-set criteria. Take a look at the image below to understand further. As you can see, you can adjust the filter on the right side to ensure that you are reaching out to the right target. You can also tweak the search results to show the first (direct) or indirect connections which are second and third onwards. A lot of people do this mistake, over and over again. Seriously! Everyone is focusing on the first-degree connection but absolutely (and I mean a-b-s-o-l-u-t-e-l-y) forgets the ones after that. Sure, a first-degree connection is great but you can easily expand your reach (in both job hunting or searching for candidates) if you have a wider range of audience. Well, I usually connect with my second-degree audience and instead of sending an ‘add connection’ message, I decided to do something different. Sending a random, personalized message to each of them. This allows me to be more personalized and create a better chance of connecting with them. Just like any other social media platform, LinkedIn has many spammers and you would definitely want to be different from the rest! Sending a personalized message doesn’t only can be accomplished fast, it can easily create a great first impression for your potential connection. Do you know that you will have a higher chance to secure a job if you know your potential employers? Most companies have a LinkedIn page and this is where you can literally ‘stalk’ them. Checking through their publication and social shares will give you an idea of the type of employees they are looking for. With this information, make sure you do the needed changes on your resume and you can even share some information during the interview to “wow” your interviewers. Not sure where to find them? Don’t worry — I got you covered in this. When you are searching for a specific company on LinkedIn, consider checking out their profile to understand what their core values are and what they are looking for in a candidate. 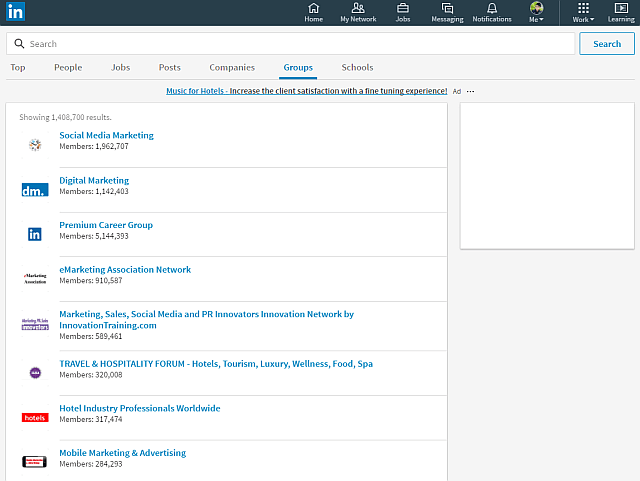 As you can see, there are companies and groups that you can follow on LinkedIn. Searching for the right candidates on LinkedIn could be challenging. One of the best methods that I always use is to shortlists candidates that to find the one that does things others won’t do. 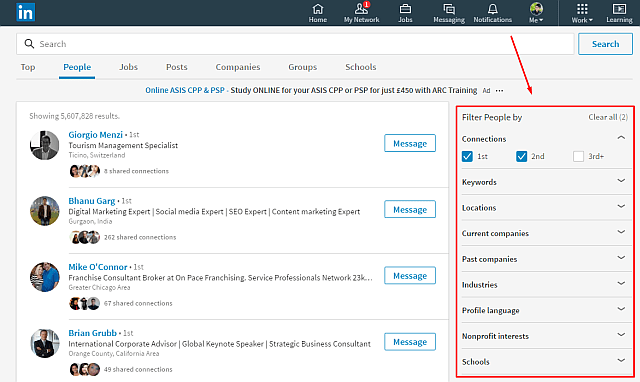 For example, if you are a LinkedIn premium user, you will find that you can easily use the InMail to reach out to the contact (without actually being in their contact list). Most people are doing it wrong on LinkedIn because they are using the free version. And this is where they are missing out all the fun stuff! 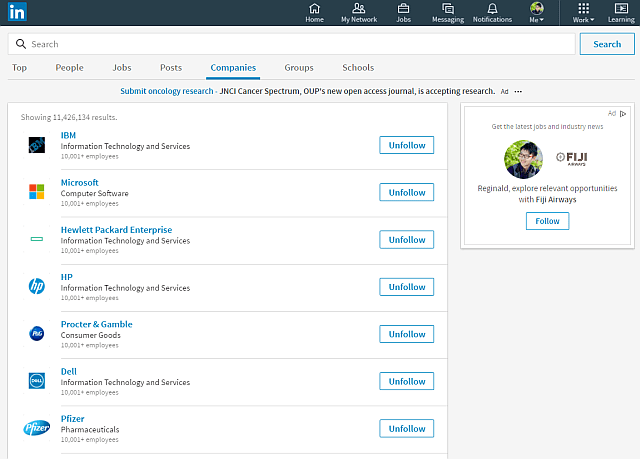 Searching for candidates on LinkedIn (or even for connecting basis) is always MORE effective with premium LinkedIn accounts. 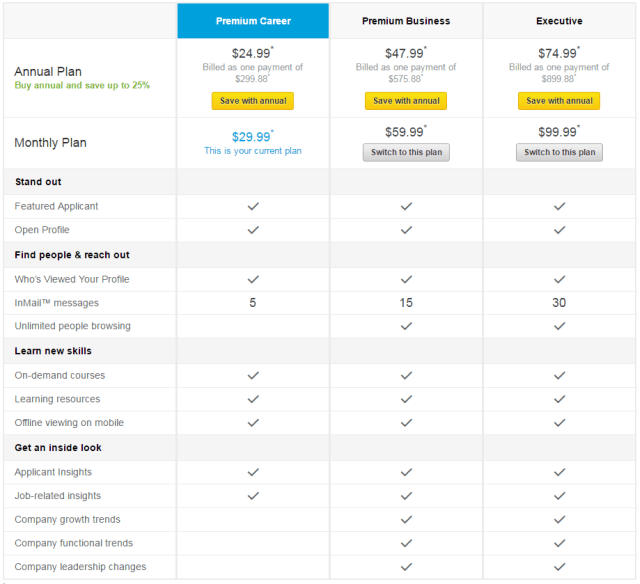 So, how much does LinkedIn premium charge? Take a look below. *Note that I’m using Premium Career as it fits my needs. This is very much pretty straight forward. Regardless how good you are, you should always be real and courteous. Now, here’s the first part — being real. What does being real means to you? For starters, you should share information based on what you are best in. In this case, it can be for both careers and personal. Whatever you do, be real and don’t just do ‘that’ simply because you want to gain ‘something’ out of it. Readers are able to feel it if you are being real and trust me, many of us actually appreciate people being real! So, how about being courteous? Well simple! Imagine you are working for an Inc. 500 company and you would probably get a zillion of messages in your LinkedIn (which a huge part would be spam). You should NOT be rude or any kind to them as there are many options to report, block or mute the connection. Plus, if you are going to turn down a candidate via LinkedIn, at least reach out to them and thank them for participating. Not only you will get a better name for yourself, you will do a lot more good for your company as well! LinkedIn is a great platform for both recruiters and job seekers. The platform is very much developed and everyone could benefit a lot from LinkedIn if the platform is used properly. As LinkedIn is a social media platform, it will always have a lot of spammers and desperate job seekers. You would need to take the time to sort them out and find the best ones for your company. And if you are looking for a job on LinkedIn, always be mindful as employers would often get a lot of messages about job vacancies. Therefore, always try to be different and stay above the crowd to stand a better chance of securing the job.